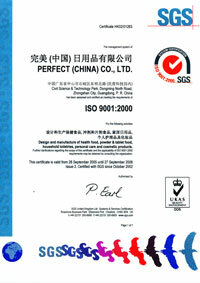 Perfect's products earned their place as a well-known household name and stand for our commitment to quality. 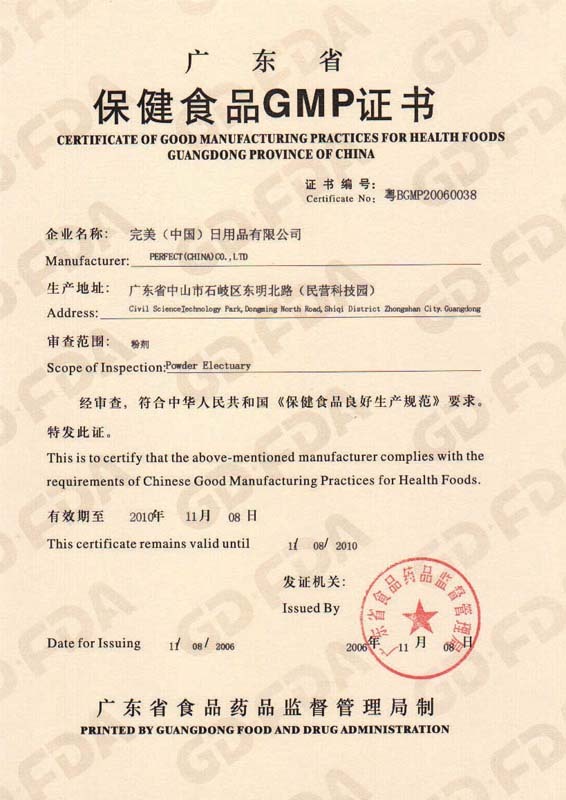 This achievement is possible because we bring together the best R&D teams and state-of-the-art research and laboratory equipment and shop-floor manufacturing and production machinery. 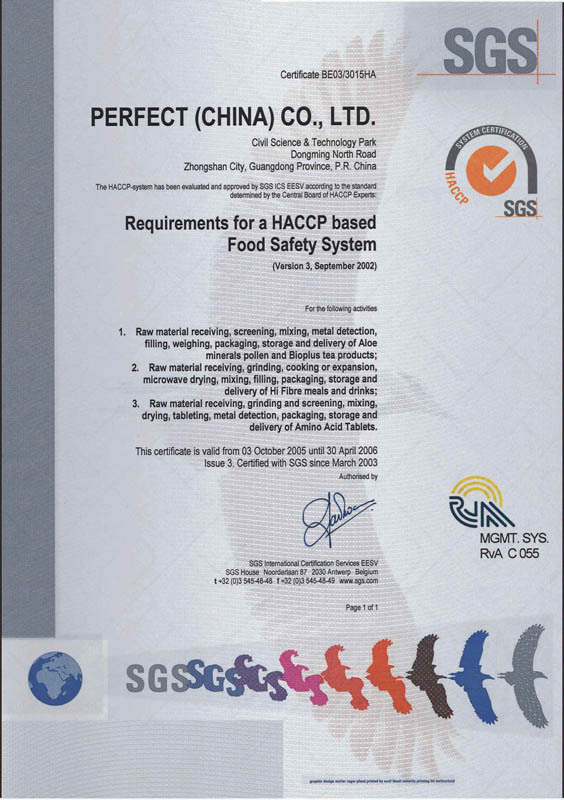 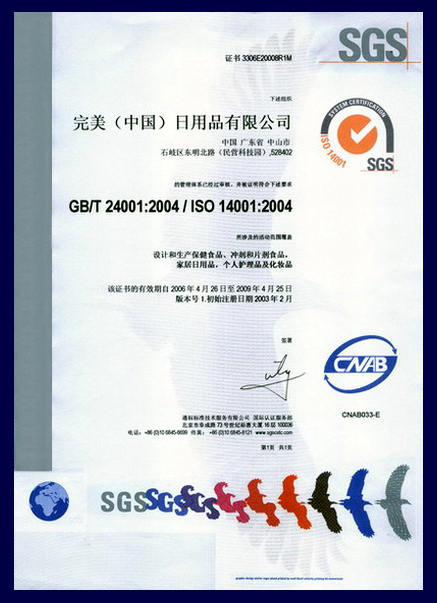 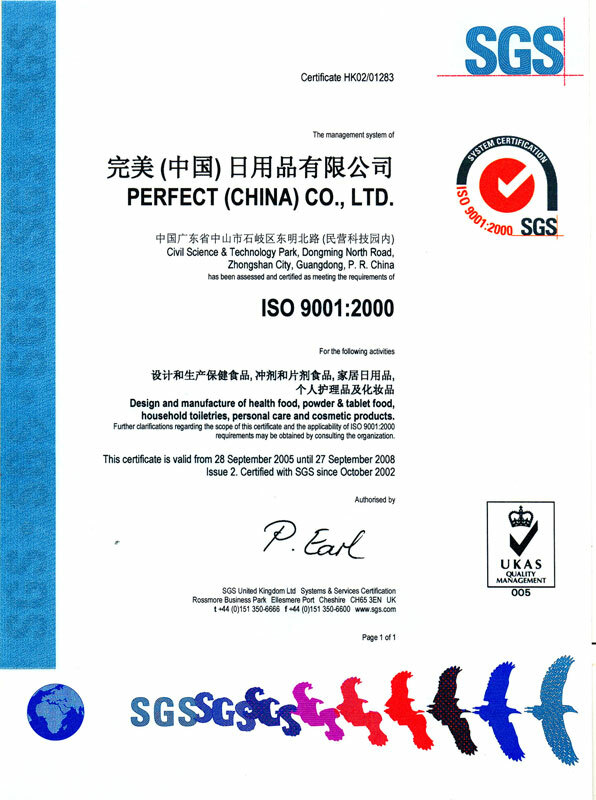 In June 2002, Perfect (China) has acquired four of the main National and International Certifications, they include GMP - Exemplary Health Food Production Certification, HACCP Food - Food Production Hazard Analysis and Critical Control Points Certification, ISO 9001:2000 Certificate upgraded from ISO 9002 (version '94), ISO 14001:2004 Environmental Management System Certification. 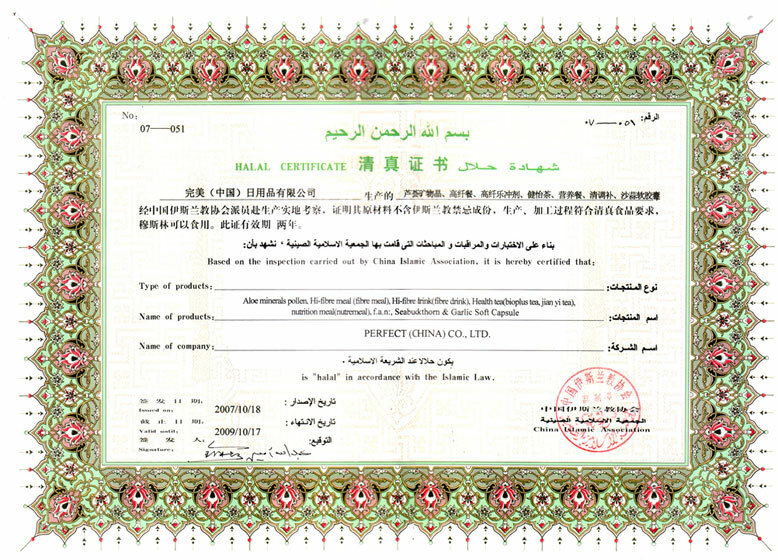 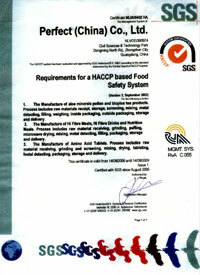 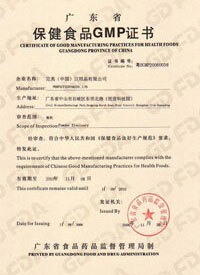 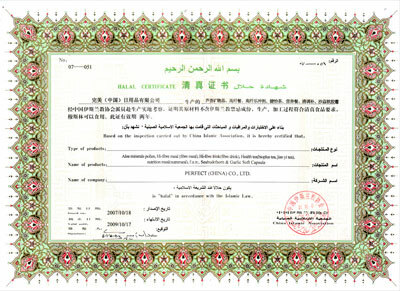 It has later achieved the HALAL Food Certification in Mar, 2003.